In the face of budget pressures, local authorities in North East England have managed to make substantial savings and even improve services, according to a report from an organisation backed by HM Treasury. The study, by Local Partnerships which is owned by the Treasury and the Local Government Association, is the third regional study by the organisation into local authorities and waste services. 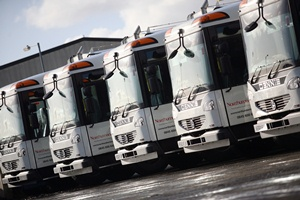 The work, supported by CIWM North East, details how the 12 authorities in the North East, all with responsibility for both waste collection and disposal services, have delivered waste efficiencies. On partnership working, the study finds that set up and integration costs for merging services are modest “with less than a two year payback period for all the shared services analysed”. John Enright, project leader and head of joint working at Local Partnerships said: “The North East report follows on from those which Local Partnerships have already produced on the West Midlands and London. What all these reports highlight is the innovative approach of authorities as they balance the need to deliver efficiencies while protecting public services. Most of the collection services in the region are run in-house and the report is seen as showing that whether public services are contracted or in-house, local authorities are challenging their activities to ensure that the tax-payer is getting value for money with “nothing set in stone”. The study goes into detail and is also seen as being of particular use to local authorities who are reviewing their services and considering partnership working. Among the positive findings in the report was the success of work to reconfigure rounds and optimise routes as well make changes to services, specifically in terms of number or types of vehicles and receptacles used in collection or the frequency of collection. Also featured in the report was how authorities were maximising recycling and recovery to increase payloads and reduce associated disposal costs as well as maximising income from recyclable materials to ensure the most financial benefit can be realised. The report pays close attention to the financial benefits of changes to services and from joint working. For example, Northumberland looked at maximising income from dry recyclables. A fit for purpose market testing process was agreed with the contractor and also the council financed additional labour at the MRF to maximise material capture. As a result an additional £541,000 was received by Northumberland following the first recyclables service market testing review. The authorities in the Tees Valley Waste Partnership successfully worked together on a contract covering Waste Electrical and Electronic Equipment (WEEE). Jointly the five authorities’ worked through the North East Procurement Organisation (NEPO). A third example is how Darlington saved £1 million following an agreement with its contractor Wades, with the contractor agreeing to freeze the gate fees on the contract at 2010/11 prices for the following two years. Local Partnerships says the council has a “proactive positive relationship with the contractor” which has resulted in a number of efficiencies being identified and delivered. Past reports have covered Dorset, East Kent, London, East Sussex, Hertfordshire and Lichfield & Tamworth.